TICKETS TO THE ADDY AWARDS MUST BE RESERVED BY 4:00PM ON FRIDAY, FEBRUARY 15. 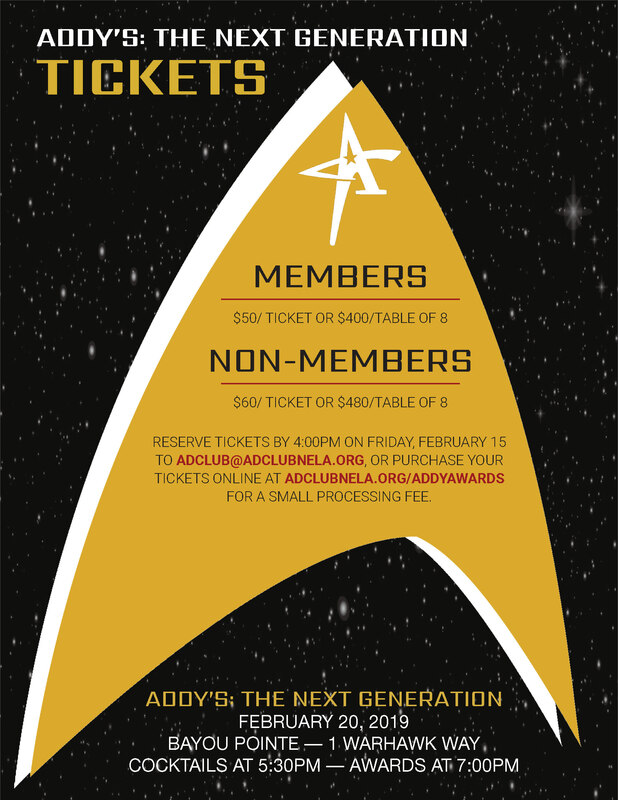 PURCHASE YOUR TICKETS VIA THE EVENTBRITE LINK OR BY EMAILING ADCLUB@ADCLUBNELA.ORG. Enter the ULM Student ADDY Competition! Deadline to enter is Wednesday, April 18th at 3:00 p.m. 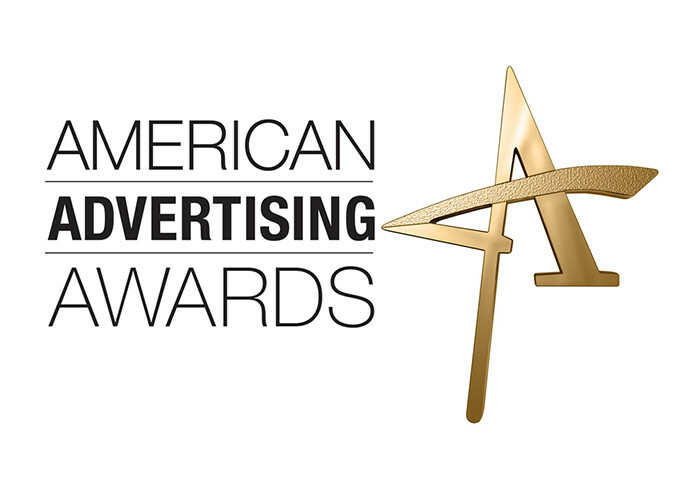 The American Advertising Awards, also known as the "ADDY's," is the advertising industry's largest and most representative competition, attracting over 40,000 entries every year in local ad club (AAFSB) competitions. The mission of the American Advertising Awards competition is to recognize and reward the creative spirit of excellence in the art of advertising. Conducted annually by the American Advertising Federation (AAF), the local phase is the first of a three-tier, national competition. Concurrently, all across the country, local entrants vie to win ADDY Awards - recognition as the very best in their markets. At the second tier, local ADDY winners compete against winners from other local clubs in one of the 15 district competitions; AAFSB's being District 10. District ADDY winners are then forwarded to the third tier, the national stage of the American Advertising Awards. Entry in the local AAFSB competition is the first step toward winning a national ADDY.